Watch This Excellent Clip of Bill Murray in Wes Anderson’s ‘Grand Budapest Hotel’!! 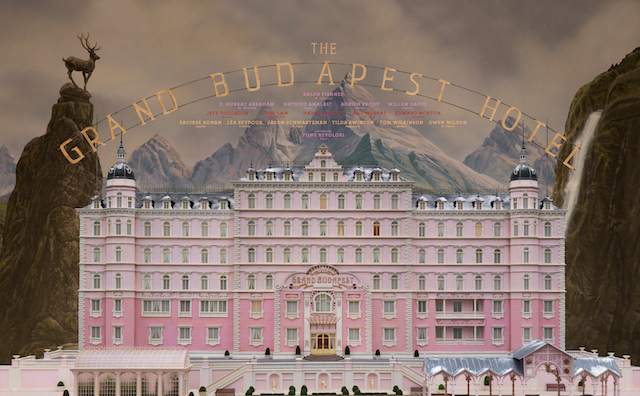 We don’t have to wait to much longer for Wes Anderson’s (‘The Royal Tenenbaums‘) new film, ‘The Grand Budapest Hotel, as it will release in the theaters on March 7th. We’ve seen the trailers, but now we have an official clip of Bill Murray, an Anderson regular, doing what he does best in this new film. This looks quite hilarious and I can’t wait to see it. Enjoy the clip below. This entry was posted on Wednesday, February 5th, 2014 at 1:30 pm	and is filed under Film, News. You can follow any responses to this entry through the RSS 2.0 feed. You can skip to the end and leave a response. Pinging is currently not allowed. « Nic Cage Eyeing Revenge Flick, ‘Men With No Fear’! !